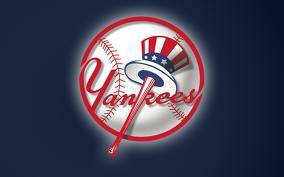 The New York Yankees have managed to stay afloat among injuries, old age and lackluster play at home so far. A lot of it can be attributed to Mashahiro Tanaka, the Bullpen as a whole, timely hits from bench players, a few streaks by Teixeira, and for unheralded players like Yangervis Solarte and Dellin Betances. The Bronx Bombers will have a tough time competing without the likes of Sabathia, Nova and Pineda for the next stretch, and will not see Nova for the whole year. The Yankees spent $503 MIL on player salaries in the offseason, and half of the roster is comprised of different guys from last year. It was a team that also splashed the biggest International signing plus posting fee with their 7 YRs/$175 MIL pact with acquiring Masahiro Tanaka. Going into the second game of a 7 game homestand versus the Twins (3), a makeup game vs Mariners on Monday, then concluding with a 3 game set against Oakland., the Bronx Bombers are 28 – 25, and 2.5 Games Behind AL East leading Toronto. While it is too early for the standings really, if the playoffs were to start today, the Yankees would be playing against the Angels in the Wild Card playoff spot. Fresh from a 5 – 4 road trip through Chicago (both teams) and St. Louis, the team did well to salvage the trip after dropping the 1st two contests to begin with. With spending $503 MIL on contracts this winter, however they are not as old of a club as they were last year. That doesn’t mean the problem won’t come back in future years, it just means this is their best year to compete for some time. I am not a Yankees fan, and am definitely not a Red Sox fan either, however it is funny how this rivalry has captivated most baseball followers. After this winter signings have occurred, I finally decided to do some investigating, because of all the venom fired towards the Bronx Bombers. 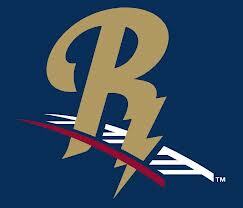 I also watched as Boston Red Sox Nation piled on the New York franchise for this. Once again, the Yankees have forked out the most money top acquire a Starting Pitcher. 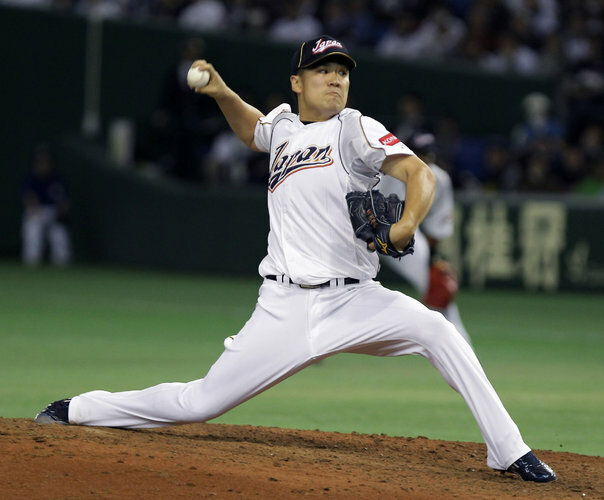 Masahiro Tanaka agreed to a 7 YR/$155 MIL deal with the Bronx Bombers. When you add the $20 MIL posting fee, it comes out to $175 MIL for just 7 Years. The Japanese superstar has a player opt out after 4 years (after the 2017 season). It is the biggest ever contract for an American League Pitcher – and the largest sum ever granted for a Right Handed Pitcher (Open Market – doesn’t count extenssions) in the history of Major League Baseball. The 25 Year Old also is now in possession of the 18th biggest contract in MLB history. With the signing of the player, the Yankees have pushed their 2014 Luxury Tax AAV to roughly $196 MIL. The Yankees had to have Masahiro Tanaka for the team going forward. It is a risk so worth taking. There is not a litany of 25 Year Old Starting Pitchers that have the repertoire of this guy. 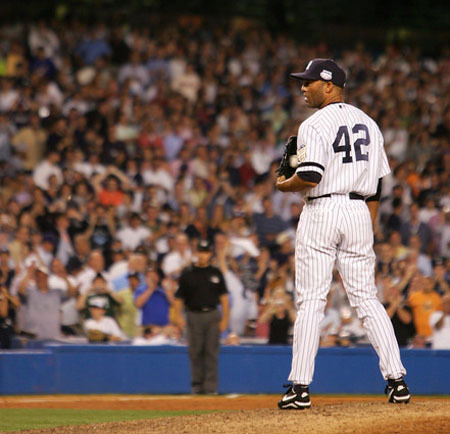 Due to poor drafting – and mismanagement of several other young phenoms like Phil Hughes and Joba Chamberlain, the club couldn’t produce a legitimate #2 or #3 starter out of their own system. The team has also traded a guy like Ian Kennedy, who has thrived in another atmosphere. But this is the Yankees way. This was their only alternative.